C.A.P.S is a not-for-profit organization, run 100% by volunteers. We are totally dependent on volunteers for many positions which include but are not limited to coaches, buddies during baseball season, concession stand help during baseball season, fundraising as well as other positions. We need volunteers to help ensure the safety and maximize participation of our members. Help our athletes and share in the joy and excitement of watching our members participate in a team sport. 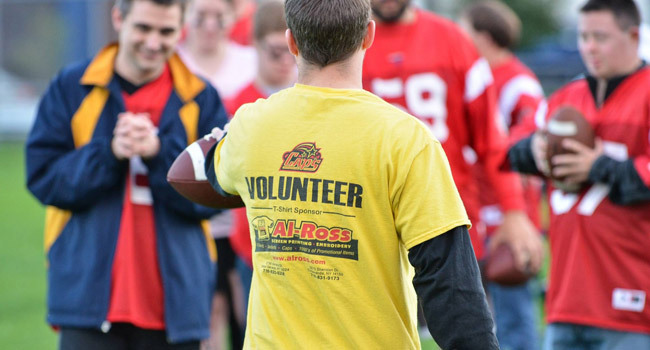 Volunteers are integral to the success of the program as they can assist with helping the athletes play, explaining the rules and providing peer support.